Although this is a cartoon BUT there is truth all through it. 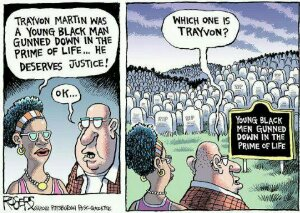 I mean really, which headstone is Trayvon Martin? Martin Luther King Jr.? Emmett Till? Darrell Turner Jr? and thousands of other black INNOCENT males? Huh? Point is that I do not EVER want any of these tombstones to be be connected to or be a representative for anyone who did no wrong to be there. 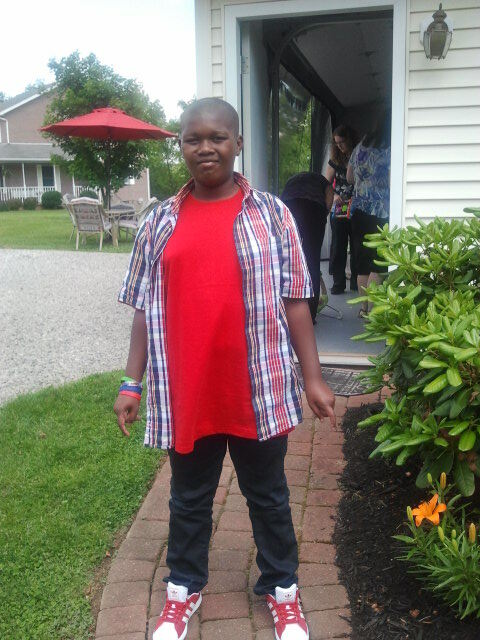 Let alone yet ANOTHER “racial profile” black male.. Let alone either one if MY OWN sons! June 16, 2012 A Woman and Her Pen! Tip On How 2 Raise Sons! June 14, 2012 A Woman and Her Pen! Don’t wait to make your son a great man – START out by making him a great boy! June 8, 2012 A Woman and Her Pen! PLEASE do not wait for the PERFECT MAN because there is not any!!!! The only perfect person is Jesus and you shall see Him “soon enough” okay!! Accept the fact and really embrace that the man God has for you WILL NOT BE PERFECT but God can help mold him into the person who fits securely into the peg of your life. The man is to add to you NOT COMPLETE you! SOME women have a “prison sentence mentality” with this waiting game that they have…. I AM NOT SAYING to lower your standards at all and those who do NOT even have standards, please get some and keep them in tact! However, I am just requesting that women be REALISTIC when it comes to relationships! Know what you want and know what you dont want and GO FROM THERE!! Truth be told when women do not know what they want and who they are as a person they are prime examples to be on the recieving end of broken relationship after relationship. Also talk to a few God fearing women who have PROVEN to be successful in relationships / marriages who can sit and discuss the things of the heart as well for guidance! If you trust them- then attempt to obtain some wise counsel because other than that – why are your spending time with these people? Seriously! I do not want women – especially good women who have their heads on straight, educated, kind, saved – followers of Christ, compassionate, prayerful, loyal, family oriented etc..etc..etc.. have ALLLLLLLL of these great qualities but sit – wait – and then DIE like the woman in the photo above!